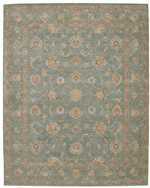 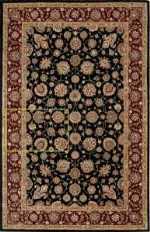 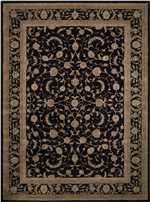 Are you looking for a beautiful and timeless rug that’s sure to be an elegant part of any room in your home? 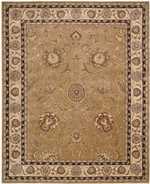 Do you want to bring a unique sense of style into your favorite space without sacrificing quality in the process? 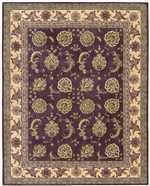 Are you in the market for a rug that will last you for many years to come? 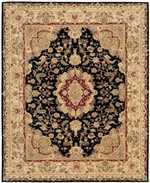 If so, check out Nourison area rugs to find just what you need. 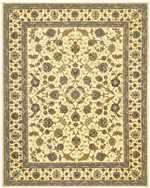 These rugs are available in many different styles, designs, colors, patterns and more to help you create an incredible space that’s sure to surprise and delight you, your family, your friends, and all your guests. 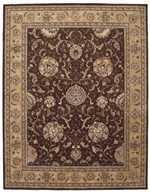 When you want to purchase amazing discount area rugs that are going to become a true show stopper in your home, the Nourison brand is a great place to start looking. 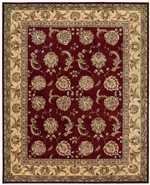 This company focuses largely on handmade and hand tufted rugs, and it has been committed to this type of product for the past three decades. 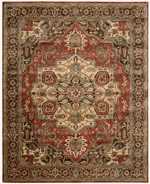 The company began as an import goods brand name, but it soon shifted gears to focus specifically on area rugs. 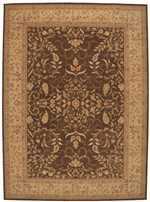 Today, their lineup includes several types of product collections, including the very popular Nourison 2000, among many others. 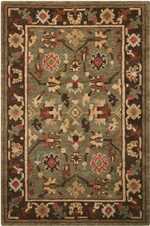 Customers return time and time again to this excellent company to purchase high-quality rugs with excellent customer service to back them up. 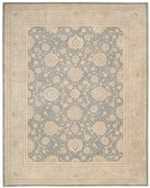 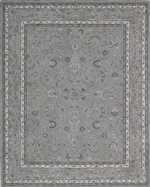 Any Nourison rug review must mention the company’s dedication to giving back, too. 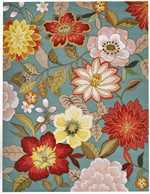 Nourison focuses considerably on partnering with research and care nonprofit organizations to support them and, in turn, to support the communities that benefit from them. 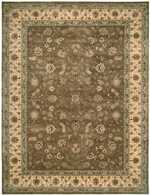 This company has donated a large amount of money to organizations researching treatments for cancer, diabetes, and more, as well as groups that deal with adoption and children’s issues. 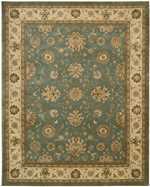 When you buy a rug from Nourison, you’ll be supporting plenty of great causes, too. 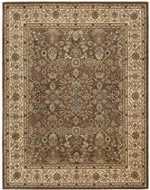 Which Materials does Nourison Offer their Area Rugs In? 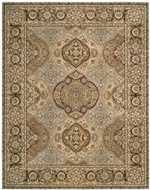 Nourison rugs are available in many different materials, some of which are much more unique than the ones you might find from other rug companies. 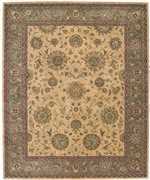 While some of their more popular lines, like the Nourison Suzani rug, the Tropics rugs, and the Silk Shadows line are only available in certain materials, other rugs tend to cover a lot more ground in terms of the available fibers. 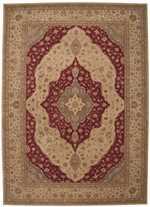 Most of the rugs from Nourison are hand tufted, hand woven, or hand hooked, so there aren’t a lot of synthetic or manmade materials used in this company. 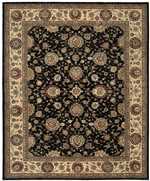 However, you can find acrylic blend, polyester, and polypropylene rugs if you so choose to purchase one. 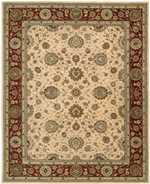 For the most part, however, when shopping for a Nourison hand loomed rug, you’ll be choosing between several eco-friendly and all-natural materials to help make your room come to life. 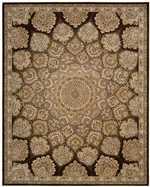 Select viscose, cotton, or bamboo if you’re looking for a lightweight, delicate, and beautiful addition to your room, but remember that these materials are a little less durable than some others available. 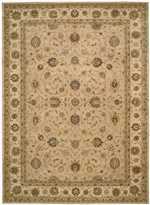 For a more long-lasting alternative, select sisal, jute, wool, or leather for your rug of choice. 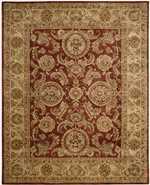 These fibers are still eco-friendly, but they may last a little bit longer overall, especially in high foot traffic parts of your home. 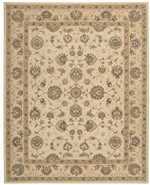 What Size Nourison Rug Should You Buy? 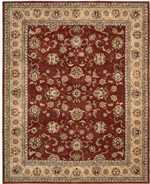 Nourison India house rugs and all sorts of area rugs by this excellent company are available in several sizes to help you make the most of any space. 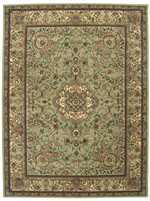 Most of these rugs fall into the 4x6 or 6x8 category, however, which puts them in the medium size range. 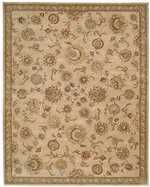 This is a good option for these rugs, because it gives you enough room to work with when you want to put together a traditional space, but also leaves you with a little more wiggle room if you want to do something more transitional. 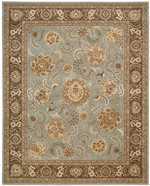 You can also select smaller 2x4 rugs and 4’ round options, like the Nourison Fantasy aqua rug, to help you bring a little accent color into your room. 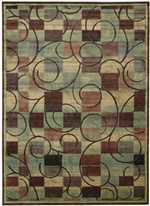 Runner rugs are another great way to utilize all the style and sophistication that comes from the Nourison brand. 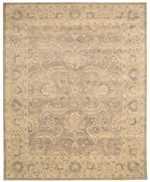 Choose a runner rug in 2x10 or 2x12 and use it to decorate your hallway, entryway, or even your formal dining room with a unique twist. 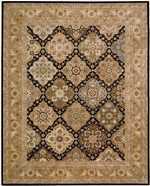 These rugs are often available in oriental styles, floral prints, and geometric designs that can help you connect the different styles going on in every room of your home. 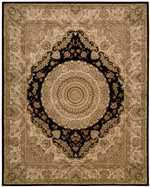 Which Styles Can Nourison Help You Create? 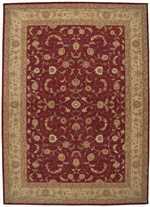 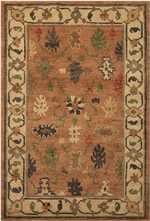 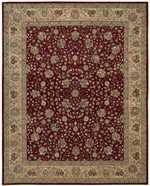 Nourison rugs are generally much more traditional than they are contemporary or even transitional. 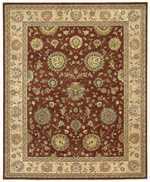 If you’re looking for an incredible modern-day take on the traditional oriental rug, look no further than the Nourison brand. 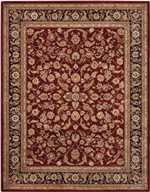 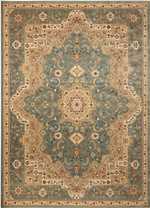 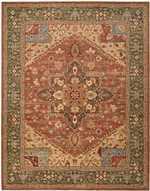 The Nourison Fantasy and Somerset lines are great ways to get into the Persian rug style that this company offers, but you can choose from any of their great products to receive excellent quality rugs that are sure to surprise and delight you with their materials and beautiful patterns. 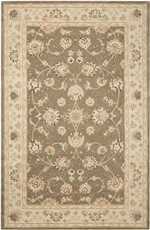 Choose a rectangular Nourison rug in a muted gray color or work with shades of emerald, olive, and pale green to create a traditional space like a formal dining room or old-fashioned parlor or sitting room. 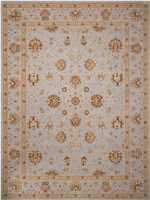 Select a rug with a floral or geometric pattern that suits the traditional oriental style, but pick one in a lighter color like baby blue or even white if you want to do something a little bit more transitional overall. 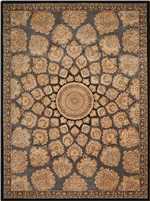 You can also find round, oval, and octagon rugs in these prints that can help you make a transitional room really connect with its contemporary side. 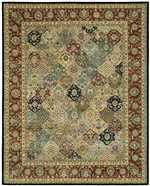 As you can see, when you choose an area rug from Nourison, you’re already well on your way to an incredible room you’ll want to show off again and again to all your friends and family. 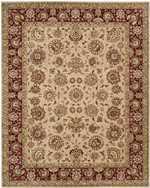 These rugs are beautiful, incredible additions to any room in your home, and there are so many different options for you to choose from that you should have no trouble finding the perfect fit for any style. 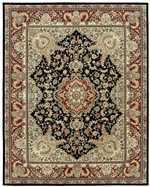 Best of all, since this company believes in a commitment to quality products at affordable prices, you’ll know you never have to spend too much money to get exactly what you’re looking for. 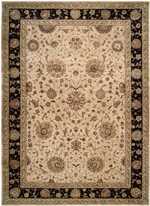 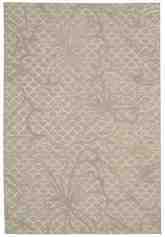 Check out Nourison the next time you’re looking for a great rug to get your home décor off on the right foot.